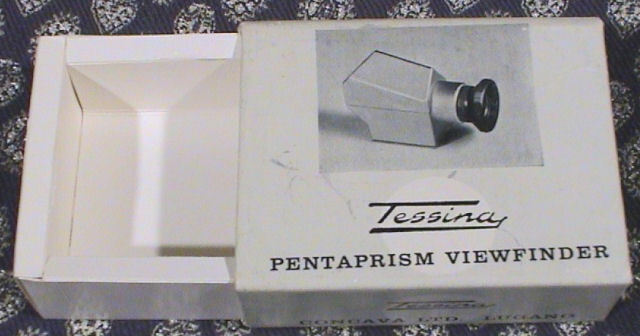 The most popular finder for the Tessina is the pentaprism. The eye piece can be adjusted to get the best focus on the frosted glass of built in viewer. 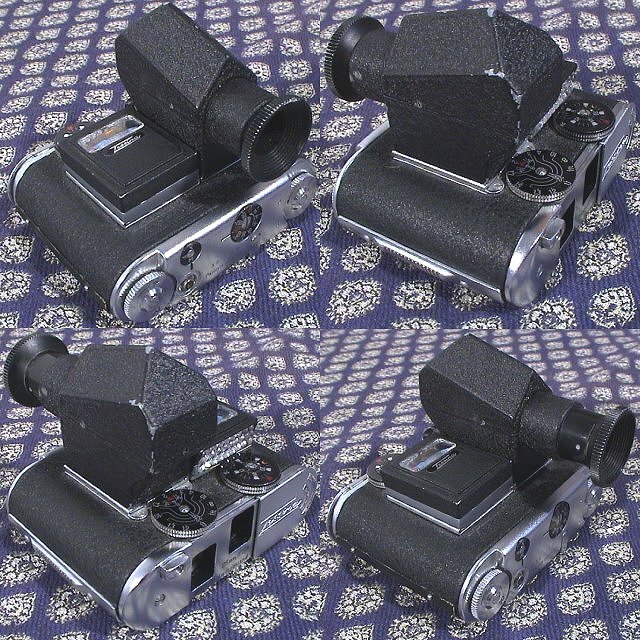 Available in black but some sources claim the chrome version is original, as on the box and others that it is a black one stripped down post production.